WICHITA, KS — INVISTA's CORDURA® brand and Carhartt announce the latest collaboration in their long-standing partnership with the launch of Carhartt's newest generation Full Swing® Steel line, a dynamic workwear collection designed and developed through an extensive consumer insight program. The collection consists of a Men's Full Swing® Steel Jacket, Full Swing® Steel Cargo Pant, Full Swing® Steel Double Front Pant and Full Swing® Steel Multi-Pocket Pant, incorporating multiple CORDURA® fabric technologies to deliver flexible, versatile, durable solutions for hardworking people. "Our latest line of Full Swing® garments was built and inspired using years of jobsite visits and insights from our Carhartt Crew - carpenters, roofers, aircraft and diesel mechanics, landscapers, and engineers are just a few of the occupations we reached out to," said Anne Rourke, design manager for bottoms at Carhartt. "We worked with our Insights team and even used a crowd sourcing tool to help design and test products with the goal of creating the 'Ideal pant solution'. With the Crew's invaluable feedback on optimal ergonomics and functionality, we developed products such as our Full Swing® Steel Multi-Pocket Pant not only with extra rugged stretch CORDURA® NYCO fabric for mobile durability but also with additional CORDURA® fabric reinforcement in critical wear areas." The actual sketching, fabric and trim development, testing and prototyping to final product was approximately a year long process. Engineered CORDURA® fabric technologies in combination with ergonomically placed kneepad pockets were incorporated to provide an enhanced level of comfort and protection. According to the Carhartt crew, "the material, knee pads, fit, flex and durability are amazing, and the pocket layout and reinforced areas were very well thought out." "Our heritage with Carhartt continues to evolve as evidenced by this latest integration of consumer-insights and CORDURA® fabric technology to innovatively address unmet needs," said Cindy McNaull, global CORDURA® brand and marketing director. "The latest Full Swing® collaboration is a true testimony to our 20 years of continuous partnership." The new Carhartt® Full Swing® apparel line featuring CORDURA® fabric will be on display at Outdoor Retailer Summer Market (CORDURA® brand booth #54037-UL and Carhartt booth #46007-UL), and will be available Fall 2018 in select Carhartt® stores and on www.carhartt.com. 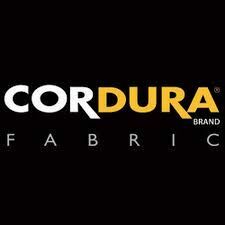 To learn more about the collaboration and its engineered CORDURA® fabric solutions, visit www.cordura.com. Established in 1889, Carhartt is a global premium workwear brand with a rich heritage of developing rugged products for workers on and off the job. Headquartered in Dearborn, Michigan, with more than 4,600 associates worldwide, Carhartt is family-owned and managed by the descendants of the company's founder, Hamilton Carhartt. For more information, visit www.carhartt.com and follow @Carhartt on Twitter. INVISTA's CORDURA® brand essence celebrates individual durability: As Long As The World Is Full Of Durable People, We'll Keep Making Durable FabricsTM. Known for its resistance to abrasions, tears and scuffs, CORDURA® fabric is a primary ingredient in many of the world's leading high-performance gear and apparel products ranging from luggage, upholstery and backpacks to footwear, military equipment, tactical wear, workwear and performance apparel. The CORDURA® brand is a registered trademark of INVISTA, one of the world's largest integrated polymer, intermediates and fibers businesses. To learn more about INVISTA's CORDURA® brand, end-use products, and marketing tools please visit www.CORDURA.com and follow us on Facebook, Twitter, Instagram, LinkedIn and YouTube. With leading brands including LYCRA®, COOLMAX®, CORDURA®, STAINMASTER® and ANTRON®, INVISTA is one of the world's largest integrated producers of chemical intermediates, polymers and fibers. The company's advantaged technologies for nylon, spandex and polyester are used to produce clothing, carpet, air bags and countless other everyday products. A wholly owned subsidiary of Koch Industries and headquartered in the United States, INVISTA has more than 50 locations around the world. For more information, visit INVISTA.com, Facebook.com/INVISTAglobaland Twitter.com/INVISTA.